Cannabis, like wine, needs clean soil and air to grow the lush, beautiful, buds that every connoisseur has come to know and love. Farmers in the historic wine country of California are looking to a new crop to bring in larger profits. Cannabis, like wine, needs clean soil and air to grow the lush, beautiful, buds that every connoisseur has come to know and love. Luckily, the grape fields of Northern California provide the ideal atmosphere for cannabis farming. Not only are farmers clearing space to make room for more of the new-age cash crop, they’re transforming their mindset and skills to help cultivate the plant that might be their largest earner yet. Northern California has always been known for rolling hillsides and nutrient rich soil that help to grow the famed grapes that are made into many, many signature wines. Around the world, these California wines are some the finest available and most sought after. As times change, some farmers are looking to get in on California’s “Green Rush,” and take advantage of the new laws that allow them access to more money. When California voted to legalize recreational cannabis, the demand skyrocketed. Only seven months into legalization and investors in the industry are buying as much Northern California property as they can get their hands on. The plan to grow acres and acres of top-shelf cannabis is becoming a reality in places like Sonoma, Mendocino, Humboldt and Trinity counties. For decades, underground farmers have known these lands are extremely fertile and ripe for growth, but now with the issue of legal barriers removed, the land is being purchased at astounding rates. John Bergman, an expert in the area of vineyard estate sales, says the facts support the sudden real estate craze, too. A farmer in Sonoma County can see profits anywhere from $75,000 to $185,000 per acre of grapes. With cannabis, that same acre becomes worth more than $1 million. There’s a new agricultural product coming to town. I think we’ll see some of these grapevines be ripped out for cannabis. If you can plant 1 acre of cannabis and make a million or more per year, that’s a hell of a lot better than vineyards. While cannabis begins to creep in and slowly take over acre by acre, some farmers are hesitant to jump on the bandwagon. Rather than give in to the changing times, some are choosing to hold on to their grapes, as wine prices will only increase as the supply of grapes goes down. Many believe this supply and demand theory will affect the cannabis market before long, too. 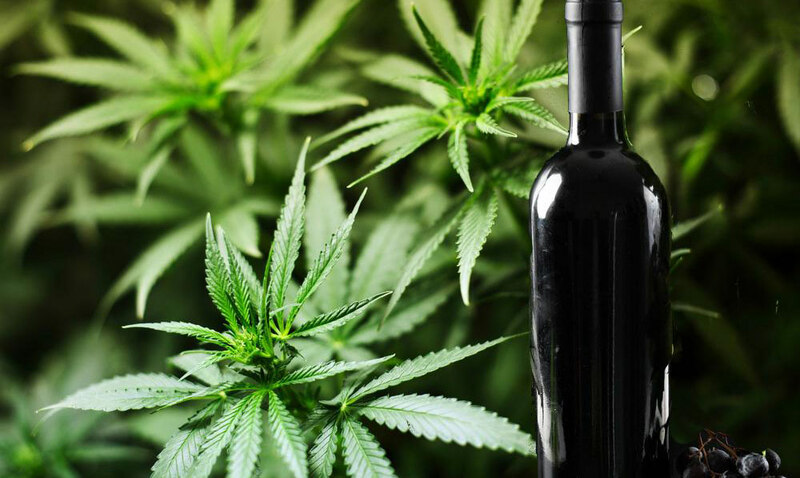 Mike Martini, of the local Taft Street Winery, explains that some farmers are just waiting for the bottom to fall out on the cannabis market, something they’ve seen happen in the world of grapes. For the most part, farmers I deal with see marijuana as more trouble than it’s worth. Cannabis is an interesting experiment. In today’s dollars, it looks promising, but as we’ve seen in every agricultural product, once it gets a good buzz everybody starts to plant it and prices fall. We saw that with grapes. Steve Dutton, president of the Sonoma County Farm Bureau, has had experience farming everything grapes to walnuts to apples. While he is intrigued by the new cannabis farming, he says he’s seen it before. My family has grown every crop that you can grow here in Sonoma County. At one time hops were profitable. My family farmed walnuts for many years and they became not profitable. We used to grow a lot of prunes here but then they went away. Then we started farming apples but we struggled for many years. Thank God we had grapes. They became profitable and have kept being profitable, but in the future, who knows? I don’t think you’re going to see all these vineyards going away, but that’s not to say you won’t see an acre of grapes removed here and there for an acre of marijuana.